Skyspace LA is California’s tallest open-air observation deck and the premiere destination for panoramic, 360-degree views of Los Angeles. At its height, Los Angeles' residents and visitors are offered a transformative view of its culture, community and people. 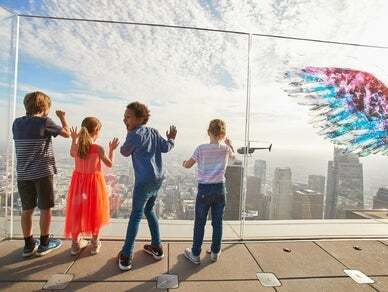 Visitors to Skyspace LA are guided through a multi-dimensional, interactive experience, featuring unobstructed views, dynamic design and surprise thrills. Thanks to the natural elements that affect Los Angeles’ famous golden light, Skyspace LA offers an ever-changing experience that allows for discovery again and again. For more information or to book your private event at Skyspace LA, call 213.894.9000, email tickets@oue-skyspace.com or visit www.oue-skyspace.com.